Mini-Camps are 90 minute humane education programs that teach empathy, respect, kindness, and responsibility toward animals. Mini-Camps are great for school, youth, or scout groups. Fee includes a full tour of SICSA’s adoption center, a visit in the cat and dog rooms, and a customized activity. SICSA can design a program to meet the needs of your classroom or group. 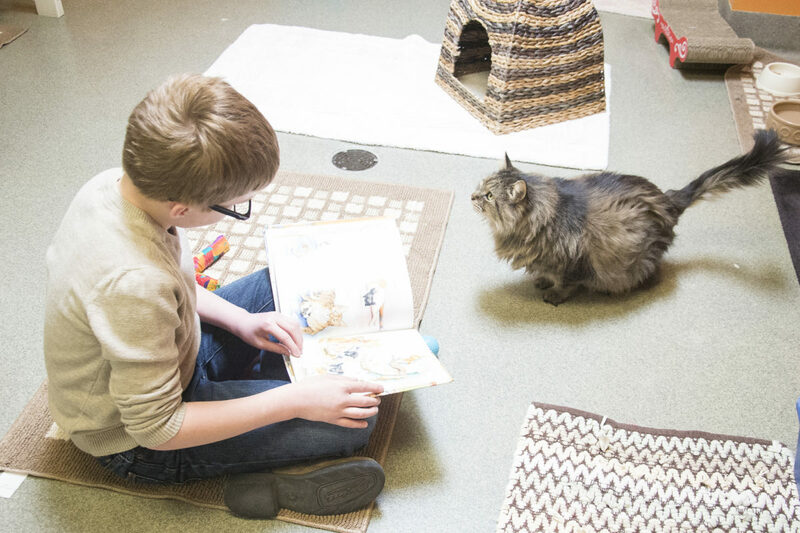 Mini-Camps may focus on any animal-related topic, including science, responsible pet guardianship, scout badge requirements, service projects, humane-themed reading, and more. Please let us know what you will be studying, and we will do our best to accommodate your curriculum. Mini-Camps are $10 per attendee. A minimum of 6 participants (or a minimum fee of $60) is required. Payment is due on the date of the scheduled program. To schedule a Mini-Camp, please use the contact form below. We request that all parents/guardians of Mini-Camp participants please complete our online Youth Programs Release of Liability and Assumption of Risk prior to the child participating in the program.